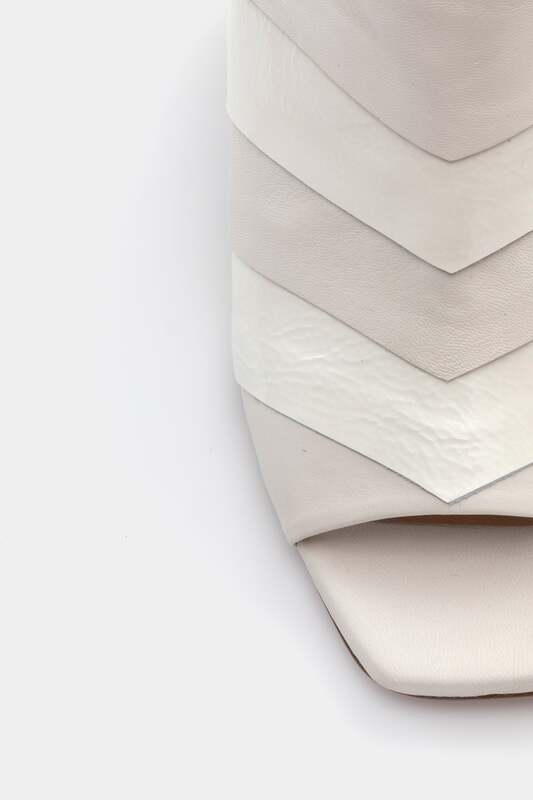 Architectural elements and handcrafted construction come together in the gorgeously detailed Amanta. 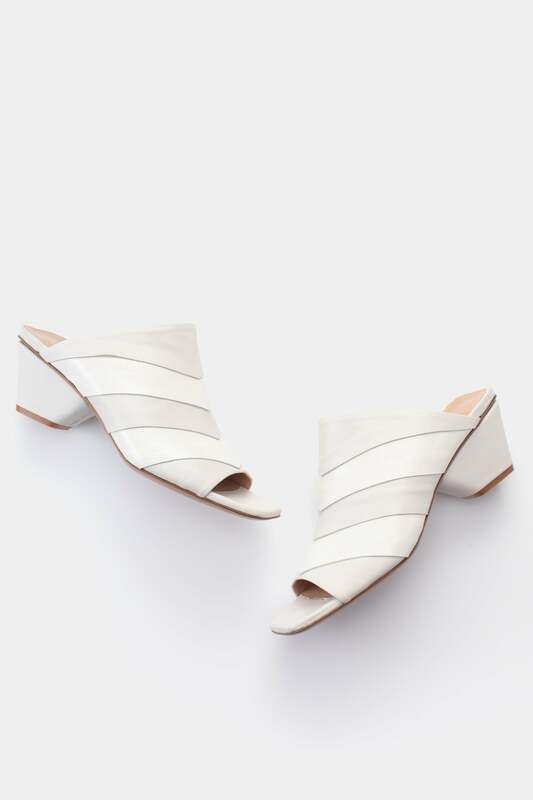 Intricately pleated pieces of smooth white and crinkled patent leather give this textured mule an unexpectedly rich look. 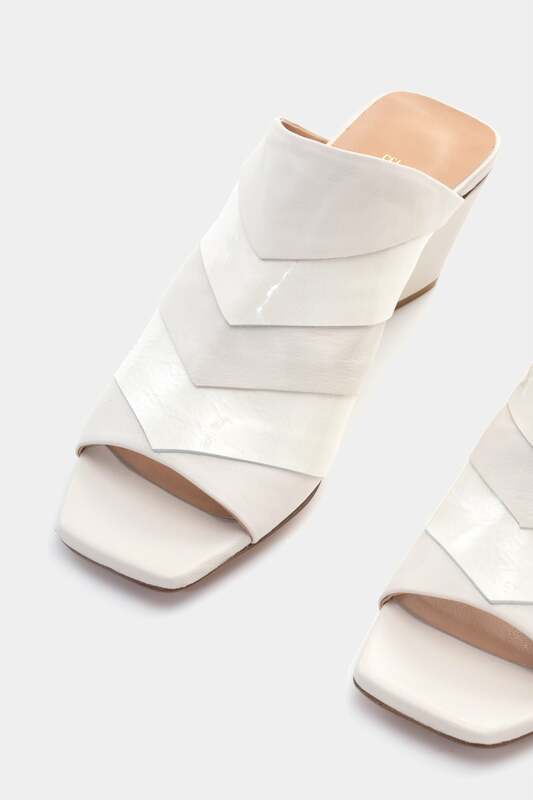 And with an open square toe, sturdy mid heel, and easy slip-on construction, it’s unbelievably comfortable too.